​Kumho Tyres is a high performance tire company that brings quality and innovative technology to consumers worldwide. With over 50 years of experience, Kumho Tire has transformed its humble beginning in South Korea into becoming the 9th largest tire manufacturer in the world. In 2006 Kumho opened a corporate technical center in China to provide technological and research services for its various subsidiaries throughout that country. 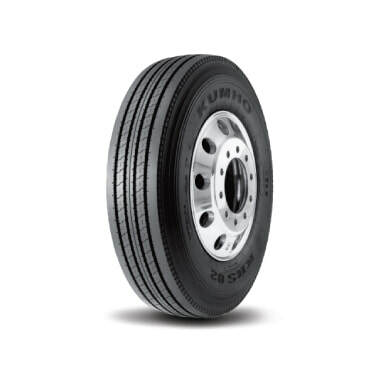 In 2011 Kumho ranked No.1 in Korea’s Customer Satisfaction Index (KCSI) for 7 consecutive years, passenger car tire category. The company has R&D centers in the UK and the US, as well as in its homeland. Kumho Tyres is dedicated to ensuring the safety and performance of all our products to our customers. 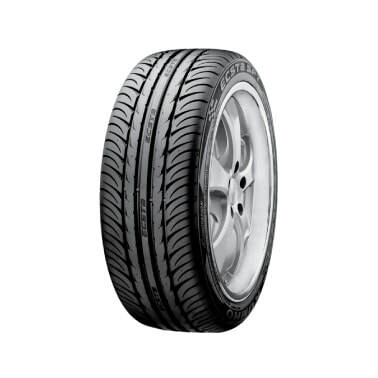 It provides tires for passenger cars, SUVs and vans, trucks, and buses, as well as for motor sports. 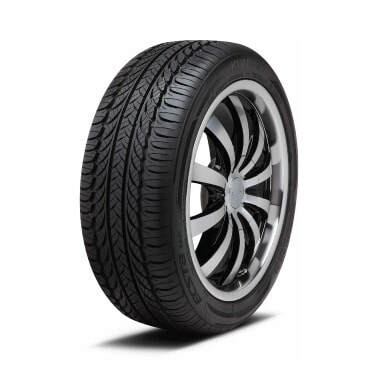 This tire boasts a silica tread compound that provides ultra high performance grip in wet and dry conditions, while the unique casing construction allows the Ecsta SPT to absorb bumps, making it the ideal tire for sports car owners on a budget and sedan owners looking for a sportier feel. High dispersion silica expands compound performance for superior wet grip and better treadwear with excellent fuel efficiency. Race-proven carcass design with jointless cap plies, wide steel belts, ESCOT carcass profile, and high durometer apex delivers razor sharp response and extreme grip without compromising ride quality. Three wide circumferential grooves optimize water evacuation in footprint. Triple-tread radius optimizes footprint shape for even pressure distribution. Shoulder blocks tilted into direction of travel to improve grip and reduce worn-tire noise. Rim protector in lower sidewall safeguards wheel against scratches and abrasions. UTQG rating of 340 AA/A for H and V speed ratings. For W and Y speed ratings, the UTQG is 320 AA/A. 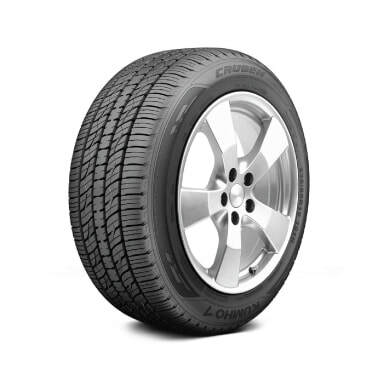 ​Kumho Tire offers the Solus KR21 with a phenomenal Quality Assurance Package featuring an 85,000 mile limited tread wear warranty and a road hazard program covering the first 2/32" of tread wear. The Solus KR21 is available in a wide range of sizes that covers sedans, mid-sized vehicles, minivans and crossover utility vehicles. The symmetric all-season tread design of the KR21 delivers exceptional ride comfort, wet traction, dry traction and performs efficiently in light snow. Advanced carbon tread compound delivers outstanding wet and dry grip. Nylon belt edge layers, normally found in high performance tires, provide a higher degree of durability and stability. Full-depth sipes, effective for the life of the tire, cut through water film for greater wet traction and maximize all-season performance, even during harsh winters. Jointless, spiral-wound bead bundles isolate road harshness, provide enhanced comfort, lower vibration and allow for a more precise tire to rim fit. Kumho's ESCOT Tension Control technology increases the tension in the bead and shoulder area, providing improved handling and steering response. Designed, engineered and produced specifically for today's growing number of mid-level sports sedans and coupes, the Ecsta PA31 delivers outstanding street performance and excellent mileage. 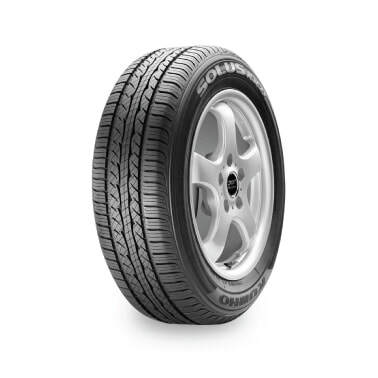 Wet and dry handling worthy of the high performance moniker while excelling in light snow conditions, the Ecsta PA31 distinguishes itself with an unparalleled combination of comfort, low noise, high performance and long mileage. The directional tread design is shaped to avoid uneven wear and delivers excellent steering, cornering and braking in all-season conditions. The variable pitch shoulder blocks reduce road noise throughout the life of the tire. ESCOT Technology improves steering response and increases tread life by optimizing cord tension distribution in the sidewall. ​BMW 128i; Chevy Cruze, Chevy Malibu; Chrysler 200; Dodge Avenger; Ford Focus, Ford Fusion; Honda Civic, Honda CRZ; Hyundai Veloster; Mini Cooper; Scion FR-S; Subaru BRZ, Subaru Impreza. The legendary Road Venture AT51 offers world-class traction on soft terrain, and surprising comfort on the road. It's well-adapted to deep snow, muddy job sites and wet highways, with a ride that rivals many touring tires. Superbly balanced on/off-road performance, with exceptional efficiency. Class-leading performance in the mud and snow, with an angled chamfer that creates hundreds of gripping edges, and a deep, tapered tread block that promotes self-cleaning. Engineered for a quiet, comfortable ride, with a symmetric tread design and variable-pitch tread blocks to reduce road harmonics. Excellent grip and stability in heavy weather, with deep central grooves to channel rain and snow away quickly. For long tread wear and fuel efficiency, the dual silicone compound is engineered to cool quickly and wear evenly. A new generation premium highway tire, the KRS02 features Tread Centering Groove Technology (TCG) for improved performance and tread wear uniformity. 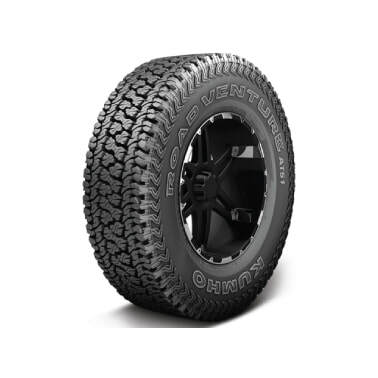 This outstanding all-position use tire was designed and engineered to meet the demanding requirements of regional and pickup and delivery applications. Fresh Media Ltd (C) 2018.